Maintaining productivity in the office is not without its challenges. You have text messages and YouTube videos distracting you from the tasks in hand. A bad work environment and other factors can also lower your ability to focus and be productive substantially. Fortunately, you have technology on your side. There are gadgets designed to help you get the job done faster and more efficiently. What are the best office gadgets to buy if you want to improve productivity? That is what we are going to find out in this article. Alternating between sitting down and standing up when working on longer tasks helps you achieve maximum productivity. You can alternate between working positions depending on what you are doing; staying comfortable is also easier when you can alternate between the two. Most standing desks now come with motors that let you adjust the height of the desk automatically. You can even store height presets to specific buttons, which means moving from one position to the next is easy and quick. However, motorized standing desks are big investments. A Yo-Yo Mini Standing Desk is the perfect alternative for the job. It is a popup desk that you place on top of your existing desk. The mini standing desk offers enough room for your laptop and your keyboard, along with other office appliances. Since the space underneath the desk is empty, you can use the Yo-Yo Mini Standing Desk for keeping your desk tidy as well. 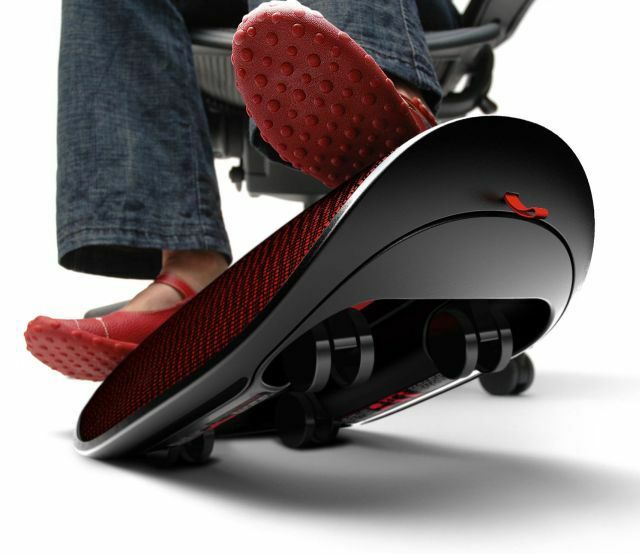 It may not be motorized, but you still get the flexibility of being able to work sitting down or standing up. The Bevi smart water machine is my personal favorite when it comes to office gadgets that boost productivity. A smart water machine helps you – and the entire office – stay hydrated easily. it gives you flavored water and a lot of great (smart) features too. For starters, the Bevi smart water machine is relatively small. There is a tabletop version of the device if you want a more compact setup for your home office. There are flavors to choose from too, plus the Bevi comes with maintenance package for problem-free operations. Paired with delivery apps for food and snacks, Bevi is also a great gadget for meetings and events. The next time you host your own health and safety training, you don’t have to bring in large vending machines to keep everyone hydrated. Check out this article from Bevi about executive assistant tips if you want to learn about more office hacks. The simple tips and tricks found in the article will help you boost productivity even further. Your smartphone may be distracting when you are trying to get things done, but it is a great tool to have nonetheless. There are a lot of things you can do to improve productivity using your smartphone, starting with scanning business cards and adding them to your address book directly. You can also use your smartphone camera to digitize documents. Adobe has the Adobe Scanner app for iOS and Android, and it is directly connected to your Adobe CC or Cloud account. All digitized documents can be edited or processed further using your desktop software. Next, we have to-do apps. There are a lot of great apps for managing the tasks at hand. There are also notetaking apps you can use to maintain lists and store important details. You’ll be surprised by how useful having a synchronized note app like Google Keep and Apple Notes is; you no longer have to worry about misplacing information or forgetting about an important task you need to do before the end of the day. Staying true to our attempt to fight off distractions, the next office gadget we are going to look into is a pair of noise-canceling headphones. My personal favorite is the Bose QuietComfort 35, but there are more headphones to choose from. Noise-canceling headphones counterbalance external noise using white noise and other techniques. Rather than blocking sound from entering, today’s best headphones use microphones to capture sound from around you and adjust the output of the drivers accordingly. Noise-canceling headphones are also getting more comfortable. Instead of blocking external noise completely, the latest generation of headphones can separate the sound of others talking directly to you and amplify it. Even with the headphones on, you can still hear people in the office. The only difference is that you now have complete control over who you listen to – and when you are open to conversations. Don’t be surprised to see more professionals and executives permanently wearing devices like the Apple Earbuds and Jabra 65T Elite for their features. Other gadgets can be as useful for your productivity. An additional screen for your laptop – as offered by the Asus ZenScreen – always helps. External SSDs for your files are also useful. The gadgets we discussed in this article, however, will give you the most boost in productivity immediately.